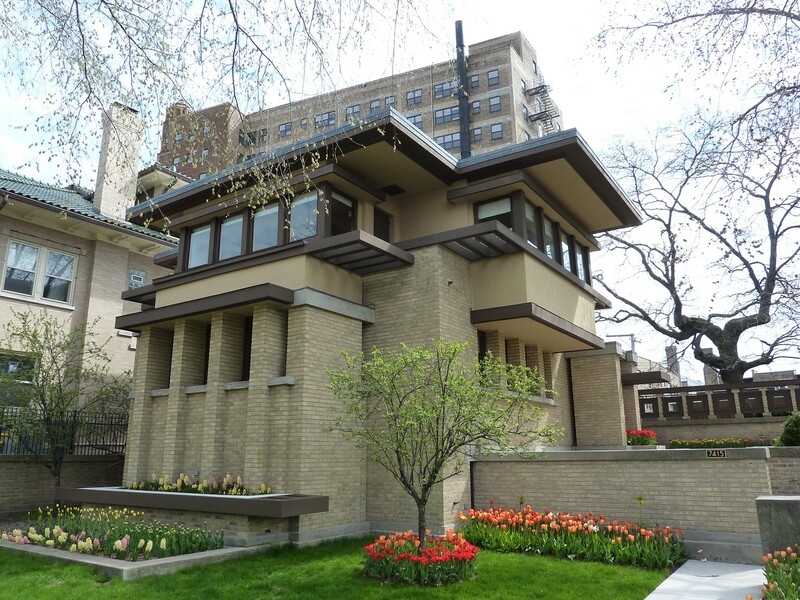 The Prairie style emerged in Chicago around 1900 from the work of a group of young architects, including Frank Lloyd Wright. These architects melded the ideals of the Arts and Crafts movement, with its emphasis on nature, craftsmanship and simplicity, and the work and writings of architect Louis Sullivan. 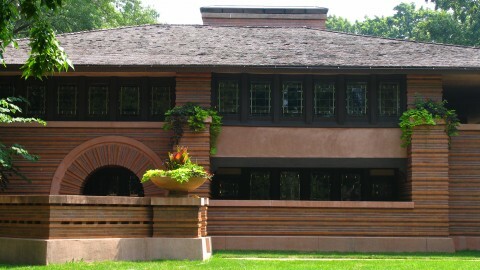 They embraced Sullivan’s architectural theories, which called for non-derivative, distinctly American architecture rooted in nature, with a sense of place, but also incorporated modern elements, like flat planes and stylized ornamentation. 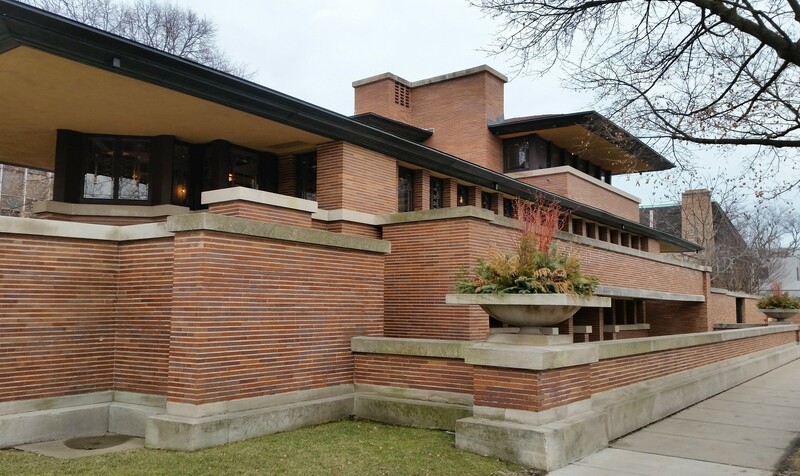 The style reached its fullest expression in residences, like Wright’s Robie House and George W. Maher’s Pleasant Home, but schools, warehouses and park buildings were also built in the style. 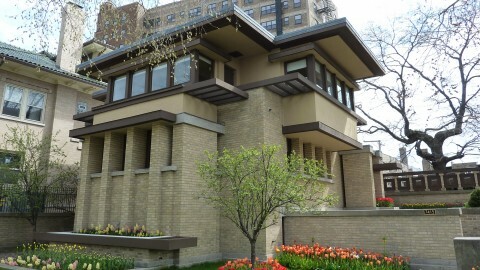 Chicago is especially rich in examples: the suburb of Oak Park has the highest concentration of Prairie style buildings in the nation. 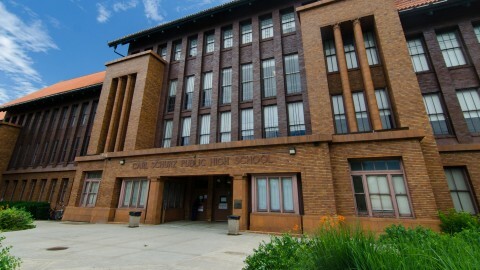 Prairie buildings are, as Wright said, “married to the ground.” They celebrate the long, low landscape of the Midwest. Their most defining characteristic is their emphasis on the horizontal rather than the vertical. 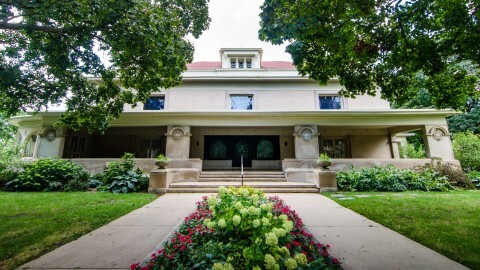 They spread out over their lots, featuring flat or shallow hipped roof lines, rows of windows, overhanging eaves and bands of stone, wood or brick across the surface. 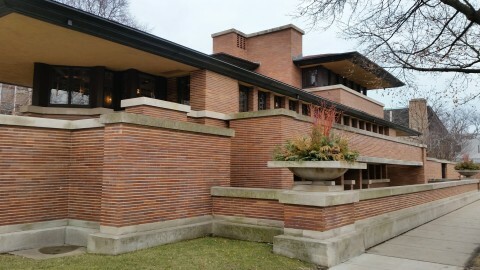 Thin Roman bricks sometimes enhance the effect and cantilevers often extend the horizontal line without vertical support. Even the unwelcome verticals of downspouts are either eliminated or carefully placed. 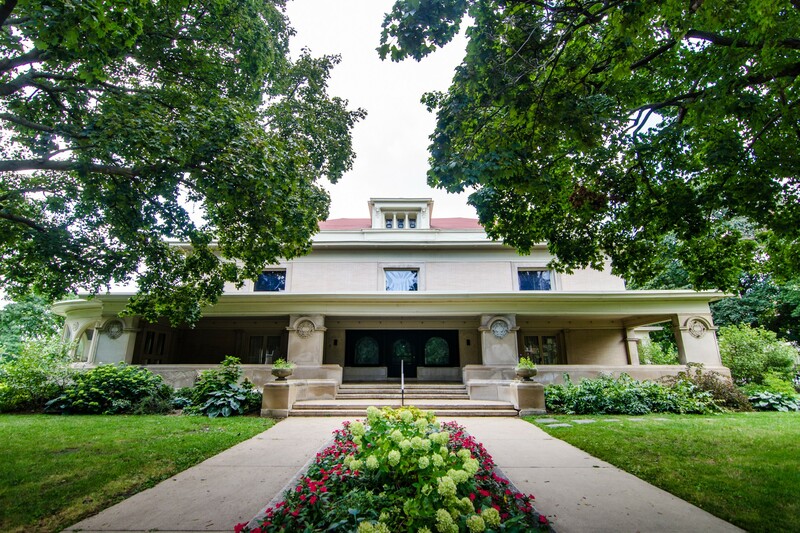 The Prairie style’s popularity faded rapidly in the United States after 1915, although its influence can be seen in everything from Modernist architecture to Mid-Century ranches. 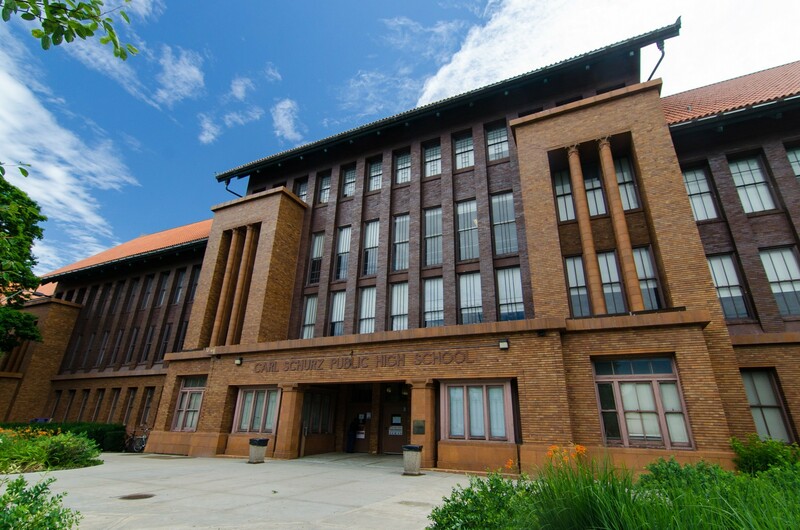 –A special thanks to Susan Frost, CAF docent class of 2015, for researching and writing this entry.